Painting furniture…. 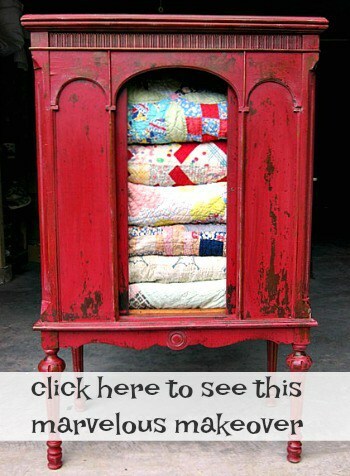 up-cycling junk…. 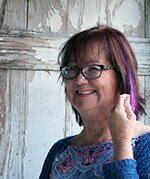 overseeing the Owen Workshop construction….. home exterior makeover…a busy year. I know the “year-in-review” is redundant and I don’t want to be a boar so I’m going to make this short and sweet. Two Tone Cabinet and Hutch (My Nemesis) ………most difficult to work with! Which is your favorite, or do you like another of my makeovers better? Thank you Deanna, i’ll have to stop by your place! Your work is beautiful! 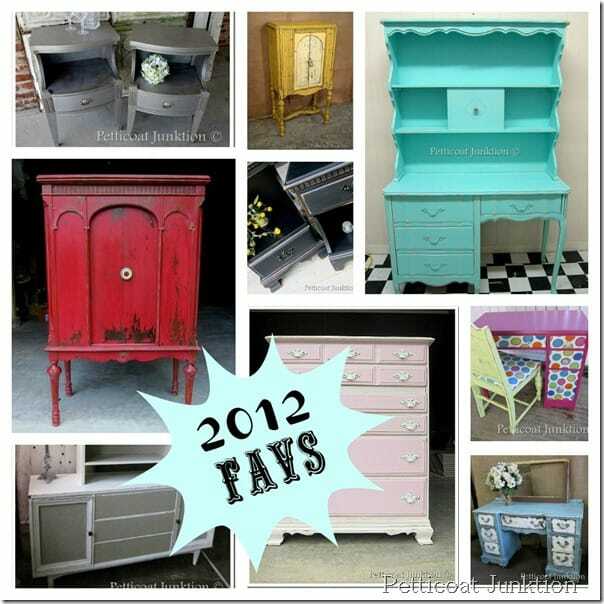 The red cabinet is my fav so I will feature it in my next post! 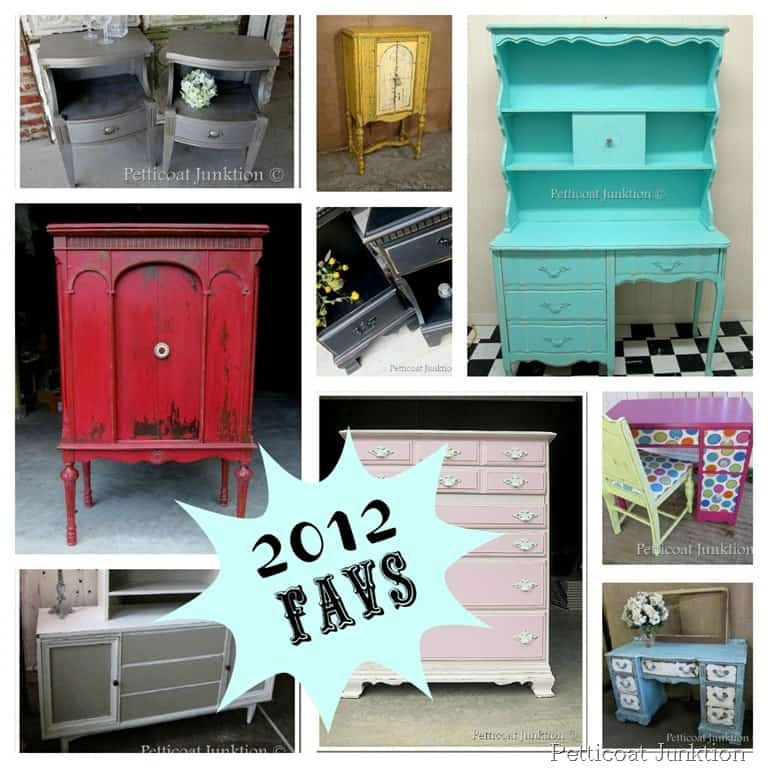 Thanks for linking up to the favorite furniture makeovers of 2012 party! Wow! You have done some amazing work this year! I LOVE those metallic nightstands – Gorgeous! Oh my!! You have had some amazing projects over the last year! Your radio cabinets are really inspiring me. I purchased a drop down desk that appears to have had some sort of radio in it as well, not sure. Couldn’t pass it up for $3. 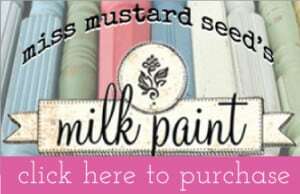 I’ll keep you in mind if I decide to order the red MMS milk paint for it.